Become a productive member of society! Which way should the toilet paper be dispensed from the roll? Who goes first at an intersection in a grocery store? What is the proper placement of ketchup on a plate? When is it appropriate to dress your pet in clothes that match your own? If you've ever wondered about the answers to these vital questions, this is the book for you. 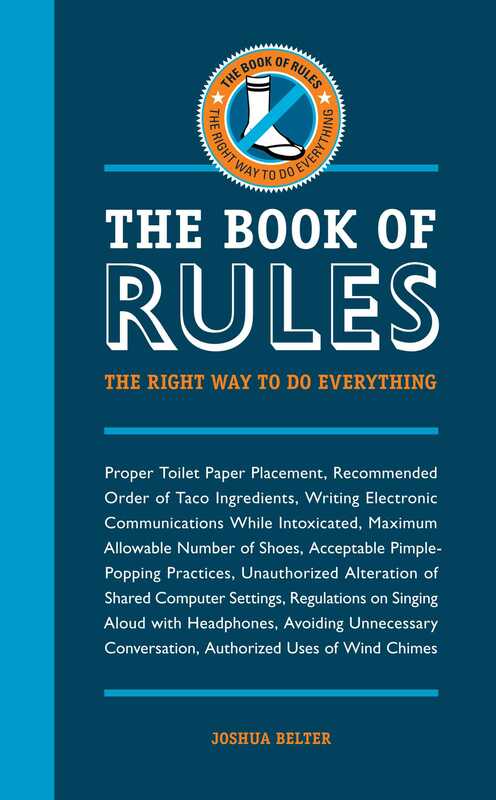 Consult The Book of Rules to identify acceptable practices and procedures for any social situation you may encounter in your everyday life. When it is appropriate to look in a friend's medicine cabinet, and much, much more. Many everyday actions--while not illegal or immoral--are generally considered improper. With this book, you'll never again be considered an uncivilized, clueless boor.